On allegations that Burna Boy called to apologise after the incident, he said; “What I said was that Burna Boy has called me and he apologised without admitting that he was involved in the assault on me. He told me that he had no hand in it. I had to reply him that I never fingered him; it was his manager and the boys that fingered him. All we need is honesty and the truth. He cannot apologise to me over a matter that he has no hand in. 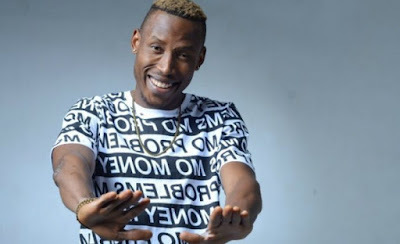 The singer reiterated the fact that while he was being assaulted, he was robbed of a wristwatch which he claimed cost about N9m. He added that he didn’t care if anyone believed he owned such an expensive piece of jewellery. “Everything they stole from me was more than N9m; my wristwatch alone cost N9m. Everything stolen from me was over N10m. I wear an Audemars Piguet watch. I am a brand ambassador for an American alcoholic brand, Christian Brothers. For me to get an endorsement with the brand, you should know that money was involved. Also, my song, ‘Count it all Joy’, had the highest number of downloads from MTN, not just in Nigeria but MTN as a whole. I go for events, I have godfathers and some footballers are my friends as well.